For this weeks Friday fun I have shown a number of grotesques and gargoyles that have undergone modern twists, often to comic effect. These distinctive stone sculptures adorn the walls of many of the great medieval cathedrals of Europe. However, over the centuries some have suffered damage due to erosion and weathering and as a result have had to be repaired or replaced. This has allowed modern sculptors to have a bit of fun. Alien! This grotesque figure is obviously inspired by Ridley Scott’s Alien movie of 1979. 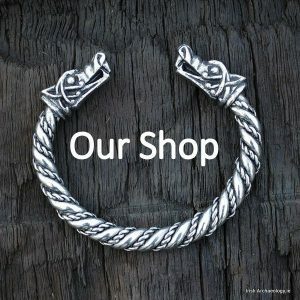 It is found on Paisley Abbey in Scotland and was added during repair works carried out in the early 1990s. The abbey itself was founded in the late 12th and is now occupied by a Church of Scotland kirk (church). 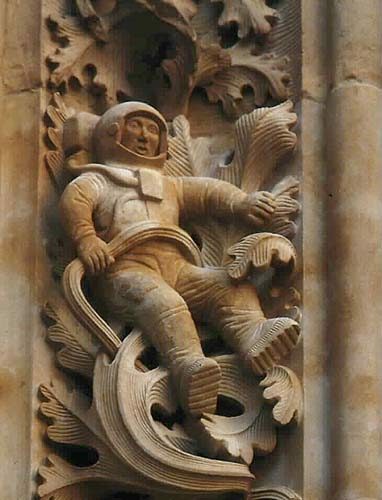 This striking carving of an astronaut adorns the walls of Salamanca’s New Cathedral in Spain. Although work began on the cathedral in the early 16th century, it was not completed until 1733. The astronaut, as you might have guessed, is a more recent addition and was installed during restoration works carried out in the 1992. How rude! 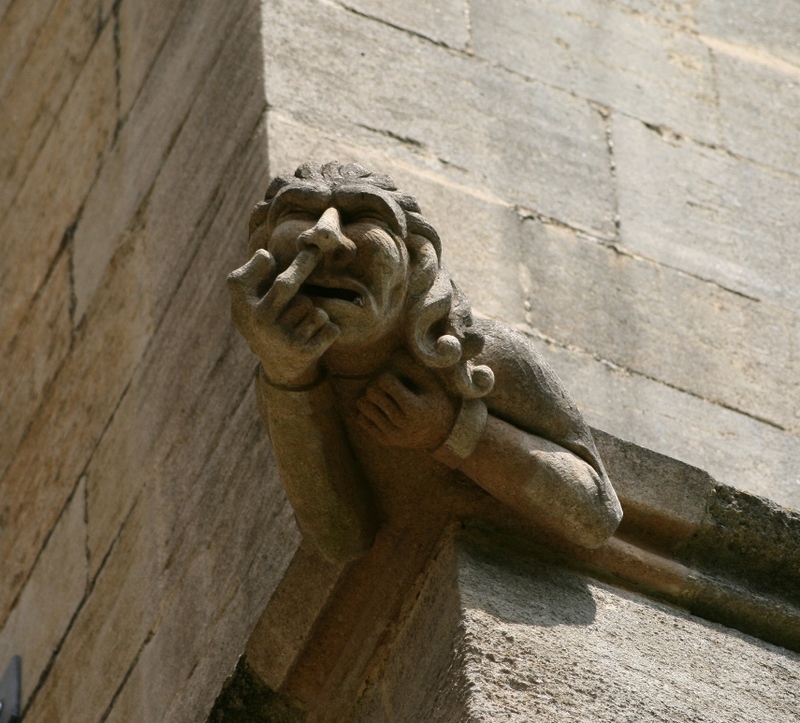 This figure of man picking his nose looks out from Ely Cathedral in England. Abbot Simeon commenced work on this iconic church in 1083 and it continued to be enlarged over the proceeding centuries. The nose picking figure, however, was added during much more recent restoration works. Light Saber at the ready! 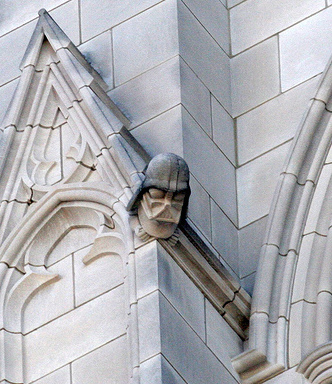 Built in the early 20th century the magnificent Washington National Cathedral contains a large number of grotesques and gargoyles. Probably the most distinctive of these figures depicts Darth Vader, the villain of the Star Wars movies. Added in more recent times it is found on the north-west tower of the Cathedral and was sculpted by Jay Hall Carpenter and carved by Patrick J. Plunkett. Playing my guitar at Gloucester Cathedral. The foundations of the present cathedral at Gloucester were laid by Abbot Serlo in the 11th century and the building continued to be enlarge and improved over the next 500 years. Used as location in the Harry Potter movies, the cathedral also contains the tomb of King Edward II who was killed in 1327. 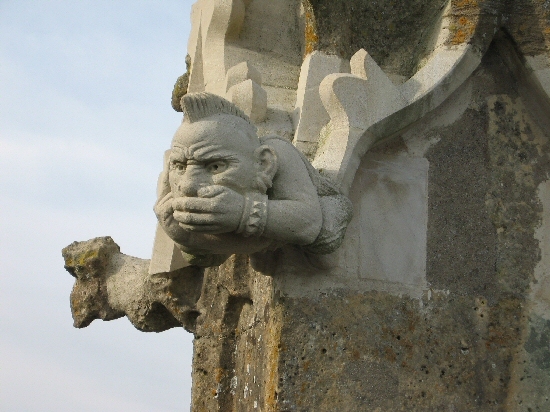 The gargoyle shown in the image was one of a number which were installed in 2008 to replace original sculptures that had been badly damaged during the English Civil War. With his Mohican style haircut and raised index finger this punk cuts a distinctive figure atop the Church of St. John the Baptist in Cirencester, England. Although parts of the church building date from the 12th century the punk rocker was only added in the last number of years. 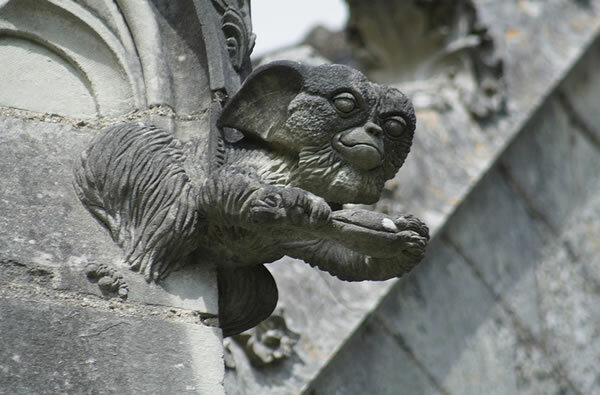 Gizmo adorning the 15th century Chapelle de Bethléem in Nantes, France. 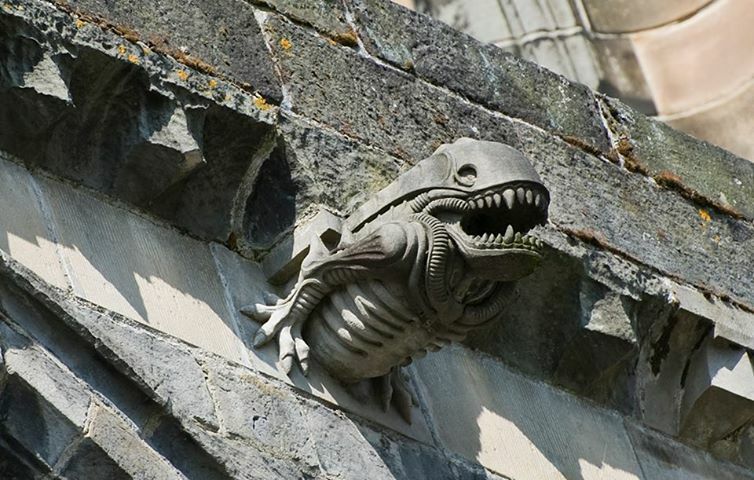 The diminutive star of the Gremlins movie was added to the church by sculptor and stone mason Jean-Louis Boistel during repairs carried out between 1993 and 1995. The Scottish Kirk mentioned is however Paisley Abbey not Paisley Cathedral. Thanks Michael, I actually knew that but still wrote cathedral. not sure what I was thinking. Corrected now. cool post, although on the post about Gloucester Cathedral I think you meant Edward II is entombed there who died in 1327, not Edward VII who died in 1910. 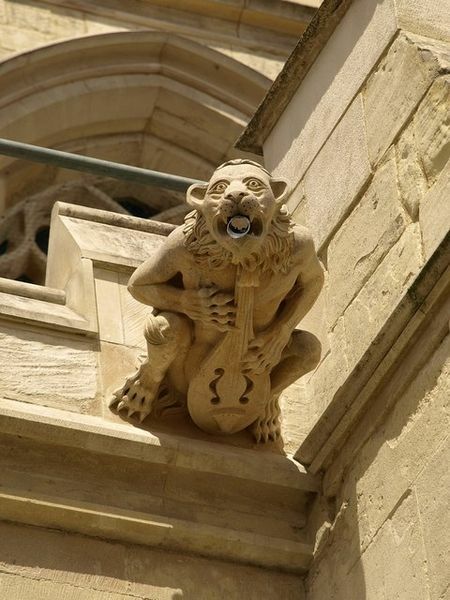 This is the original source of the ‘alien gargoyle’ image, which was uploaded to imgur by someone apparently without attribution. 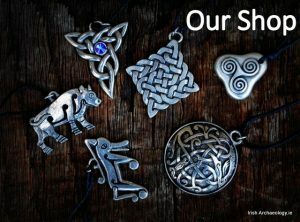 A great collection of carvings, with a twist! Caught our attention here at Justbod as we have recently started ‘looking up’ to see all the marvels that we normally miss in our towns and cities! Amazed at what we have found in our own home city of York.